Restore a Complete, Beautiful Smile! Whether you have lost several teeth or all of them, your quality of life has significantly declined. Along with your teeth, you also lost your confidence and your ability to chew your favorite foods. Not to mention, you have difficulty pronouncing words clearly and your facial structures have changed. At Summit Boulevard Dental, we have the solutions you need to overcome tooth loss with partials or dentures in Reno. We will complete your smile with a treatment catering to your individual needs. Despite several advancements in dentistry to preserve natural teeth for longer than before, 120 million Americans are missing at least one tooth. After you have lost a single tooth, you are likely to lose more in the future because your remaining teeth no longer have the support they need to stay in place. You can fill the empty spaces and protect your teeth with a partial denture. A partial is an affordable and effective solution to replace multiple missing teeth. An impression of your mouth is used to craft prosthetic teeth. They are designed to match the color, size, shape, and appearance of your teeth to create natural-looking results. They are held in a gum-colored base, which features a metal framework. This allows it to clip or clasp onto your remaining teeth to hold it in place. 35 million Americans do not have any teeth. 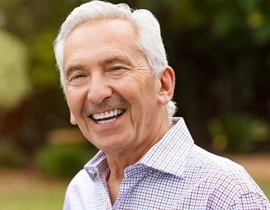 If you are among those who are suffering from complete tooth loss, your dentist in Reno can restore your oral functions and a beautiful smile with dentures. Although they have a bad reputation for looking and feeling fake, several advancements in dentistry now make them more realistic. An impression of your mouth is used to create a flexible gum-colored base. It is carefully crafted to provide the ideal fit for maximum comfort. It is held to your gum tissue using suction or an adhesive. 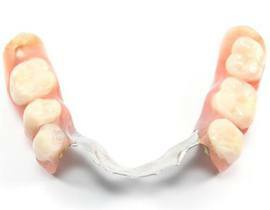 The prosthetic teeth are made from all-ceramic material to give a radiant, functional smile. Partials and dentures allow you to enjoy a complete smile for several years with the right aftercare. 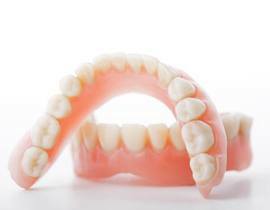 As an alternative, you can discover the security of implant-retained dentures. Your dentist will evaluate your oral health and discuss your desired results to help find a treatment plan that best accommodates your needs and your lifestyle. Stop living with the challenges of missing teeth. Contact our office today to invest in a complete smile.